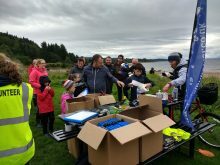 A fantastic turnout from the local community has helped turn the tide on litter for the Great British Beach Clean. 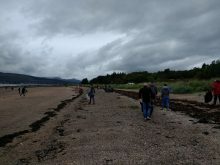 The Park would like to thank the 79 people that gave up their time to help collect and record the litter that was found on Lunderston Beach. All data goes to the Marine Conservation Society who analyse what litter is being found and lobby for changes to protect our marine environment. 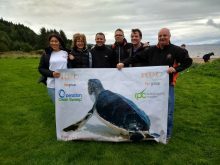 A big thanks also goes to local business RDC bpi who had staff volunteer to collect any plastics found and bag them for recycling. Our fight on marine litter goes on and the next Beach Clean event is on Saturday Jan 12th 2019 Meet 11an in the Lunderston Bay car park. We hope to see you there?